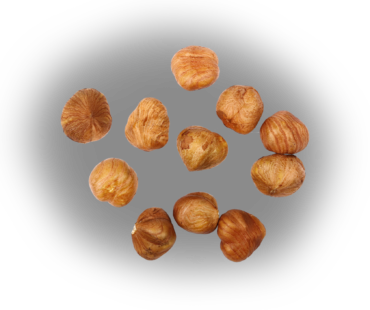 Filberts, or hazelnuts, are used extensively in confectionery and bakery products. Turkey accounts for about 70 percent of world filbert production (concentrated along the Black Sea’s southern coast). The Turkish government maintains highly modern and efficient processing factories to accommodate its crops. While the U.S. does not import large quantities of filberts, Red River is the leading U.S. importer, sourcing exclusively from Turkey. Filberts grow in clusters on the hazel tree in temperate zones around the world. Their sweet, rich flavor makes them popular in confections (and certain popular cocoa-hazelnut spreads). Still, high in monounsaturated fatty acids, filberts are quite healthy and their paper-like skin contains a high concentration of antioxidants.